ISREAL ROSS was born in the Minsk gubernya (province) of Russia on June 7, 1890 to H. Louis and Lena Ross. He spelled his name in this manner, although certain records show the more common “Israel” spelling. The Ross family, which included old brother Harry and younger daughter Sadie, came to New Jersey in the 1890s. Another brother, Albert was born in New Jersey around 1898. 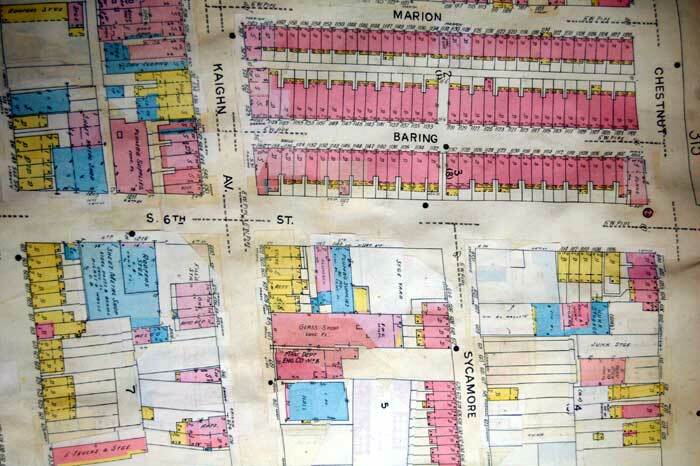 The family lived at different addresses in South Camden, including 267 Kaighn Avenue, 320 Washington Street, and 934 South 5th Street, where they resided when the census was taken in 1910. At this point H. Louis Ross was working in one of Camden’s iron foundries. Israel Ross had began his career as a plumber, a trade which he would follow all his professional life. By 1916 he was working with Francis Bicker Jr., son of physician Dr. Francis Bicker. The two acquired a building on Van Hook Street in that year. In April of 1918 Isreal Ross married Anna Silverman, who had been a neighbor of his on Kaighn Avenue. In 1906 Rebecca Silverman, a widow with seven children, purchased 299 Kaighn Avenue and went into the retail clothing business. Besides Annie, the Silverman family included siblings Sarah, Fannie, Rose, Irene, Lena, and Samuel Silverman. This business has survived moves and the march of generations, and has been known for several decades as Rochester Formal Wear. Isreal Ross went into business for himself as a plumbing and heating contractor in 1918. The young couple soon bought a house at 1145 Baring Street, where they were living in January of 1920. A set of journals that begin in 1924 seem to indicate that the partnership with Francis Bicker Jr. had dissolved, and that Israel Ross had started his own business. These journals, which show every job that Isreal Ross undertook, indicate that he worked for many people who were or would become well known in Camden. He also was doing work for various real estate operators. When the census was taken in April of 1930, Isreal and Annie Ross still lived at 1145 Baring Street, just off of Kaighn Avenue with sons Manuel, Edward, and Leonard. Sometime after the fall of 1936 Isreal Ross acquired the building at 1142 South 6th Street, where the Tarter family had once conducted a bottling business. Isreal Ross lived and operated his business here, the Ross Plumbing & Heating Company, through at least 1947. By that time sons Edward and Leonard had joined the business. Ross Plumbing and Heating did a great portion of its business with Camden real estate operators and landlords. Some of the larger and more notable clients in the 1930s and 1940s included Benjamin Natal, Theodore Tiedeken, Samuel Gelfand, Louis Richelson, Louis Dorflinger, Ellis Goodman, Zellie Ellis, Joseph and William Lipkin, and Alex Malamut. There was also institutional work, for the Talmud Torah building, churches and synagogues, and Belleview Hospital. They also did work for several Camden physicians, including Dr. Ulysses Wiggins, Dr. William Lashman, and Dr. Marcus Wheatland. 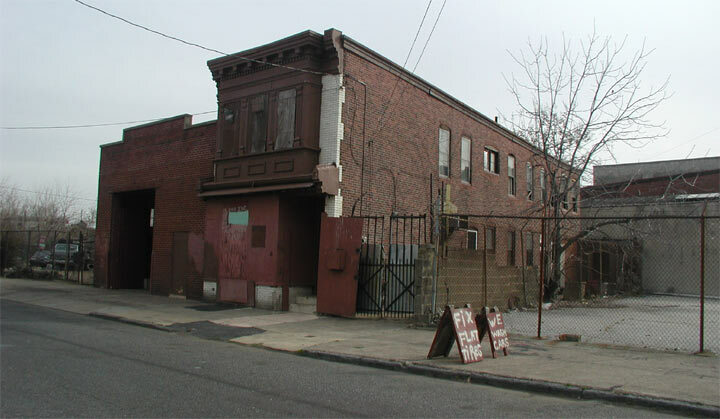 Commercial accounts included Trilling & Montague, a company involved with many of the bar businesses in Camden, Quality Drugs, and several businesses on Broadway, Kaighn Avenue, and throughout the city. They also worked for several Building and Loan Associations and the Federal Deposit Insurance Corporation's real estate operation. Isreal Ross passed away on April 12, 1962. He was buried the following day at Crescent Burial Park in Pennsauken NJ. He was survived by his wife and sons. Anna Silverman Ross passed away in Cherry Hill NJ in 1993. The Ross Plumbing and Heating Company was still operating at this address as late as the fall of 1977, and owned the property into the late 1990s. The article below comes intact from another page on this website, Memories and Anecdotes of the Ross & Silverman Family of Camden, New Jersey, which concerns the family of Isreal Ross and his wife, the former Annie Silverman. It is another in a series of pages about some of the Jewish families that lived and thrived in Camden beginning around 1880. This particular page is based on an article Steve Ross wrote in the summer of 2009. Steve has been researching Jewish life in Camden and his own family's role in that regard for a number of years and has been a great help to this site. It also should be mentioned that it ties into another "Camden Family" page titled The Children of Becky Silverman. As stated elsewhere, many of these families had multiple members who were notably involved in different aspects of life in the city, and over time I have found that many of these families were related either through marriage or business dealings. Sometime during 1917 or 1918, Rebecca Silverman instructed her daughter Anna to call upon Ross the plumber down the street at 267 Kaighn Avenue to fix their second floor toilet. It ended up being a match made in plumbing heaven as Isreal Ross and Anna Silverman were married in Camden, New Jersey. on a Tuesday evening on April 30, 1918. Rabbi Naftali Riff presided over the wedding. They spent their honeymoon on the third floor at the Silverman family’s row home at 299 Kaighn Avenue rather than spend the money for an expensive night (probably $5) in Atlantic City. The Silverman house had a garments store up front with a kitchen and summer shed in back. The second floor had 3 bedrooms while the third floor had 2 bedrooms. The bathroom and kitchen had tile floors and the living room and dining room had hardwood flooring. Little did Isreal know how adept Anna (Silverman) Ross was with business and money. She learned her skills from her mother, Rebecca Silverman, who was not only extremely parsimonious--today’s politically correct term for CHEAP-she was also blessed for her business acumen. Whether it was considered cheap or industrious at the time, Rebecca would recycle the paper wrappers from oranges to use as toilet paper. 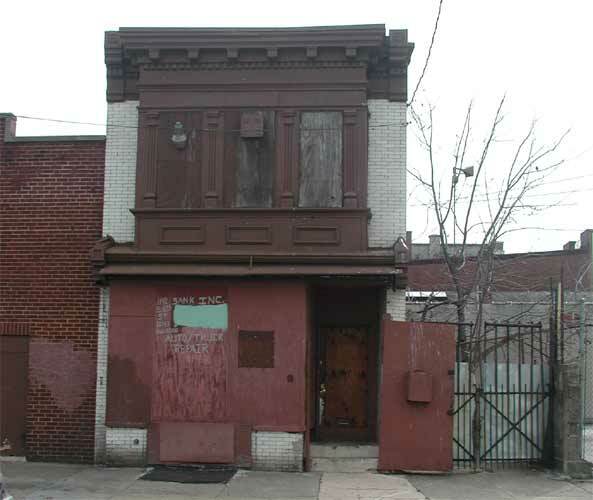 After Rebecca’s husband, Max Silverman, died of tuberculosis on April 6, 1906 at the age of 38, Rebecca moved from Sixth & Bainbridge Streets in Philadelphia across the river to Camden with 7 young children in tow. She plunked down $3,400 cash on July 21, 1906 and bought 299 Kaighn Avenue and turned it into an army-navy store where she sold goods to blue-collar workers. She sold such items as hip boots, arctics and overalls. She and her daughters would go to Third and Market Street in Philadelphia by ferry, buy such items as boots, arctics, sheepskin coats and jackets wholesale, and then sell the items at retail prices in her Camden store. After Isreal and Anna married, they initially lived at 267 Kaighn Avenue until buying their row home at 1145 Baring Street on September 24, 1919 from Joseph and Minnie Sultan of Philadelphia. The Sultans presumably were renting out the house up until the sale to Isreal and Anna. The house on Baring Street was built in the late 1880s by Wilson Ernst who was very active as a builder in Camden at that time. The house and lot were 14½' wide by 57’ deep to the rear alley. The Baring Street house had 3 bedrooms, a living room, dining room, kitchen and summer shed on the first floor. You would walk up 4 steps through the front door leading to a small foyer. Then it led into a hallway which was about six feet wide with three feet being the stairs that led to the second floor. To the left of the stairs was a door leading to the living room, then walk fifteen feet into the dining room, leading into the kitchen and then into an unheated summer shed. There was initially an outhouse in the 10’ x 20’ yard out back until Isreal roughed-in the first indoor bathroom on Baring Street in the early 1920s. The second floor had three bedrooms with one bath. Isreal and Anna lived in the front bedroom facing Baring Street; Eddie and Lenny shared the middle room; Manny slept in the back bedroom. When you would walk up the stairs, you would hit the back bedroom first. There was only a tub and toilet in the bathroom but no washstand. The cellar was accessed from a door in the kitchen. It was a large cellar with a coal fired boiler with a sidearm heater. The coal bin faced Baring Street and there were two windows facing the outside from the cellar. The coal delivery man would typically deliver about 100 pounds of coal at a time and he would place his coal shoot through the cellar window to lead right into their coal bin. Also, Isreal kept his tools in the house early on--he had wrenches, shovels, picks, dies and cutting tools in the cellar. From the back of the house there was a three-foot alley on the right side. Isreal ran soil pipe up the wall into the bathroom in order to have a functioning indoor toilet. The house eventually had all the comforts of home: a coal stove, toilet, tub and telephone (phone number was 4193). Blocks of ice were delivered to their Baring Street home for about $.10 apiece. It was carried to their ice box, which had a pan underneath to catch the water. However, Isreal used his plumbing acumen to place a fitting and pipe at a critical area beneath the pan to discharge the runoff water outside. 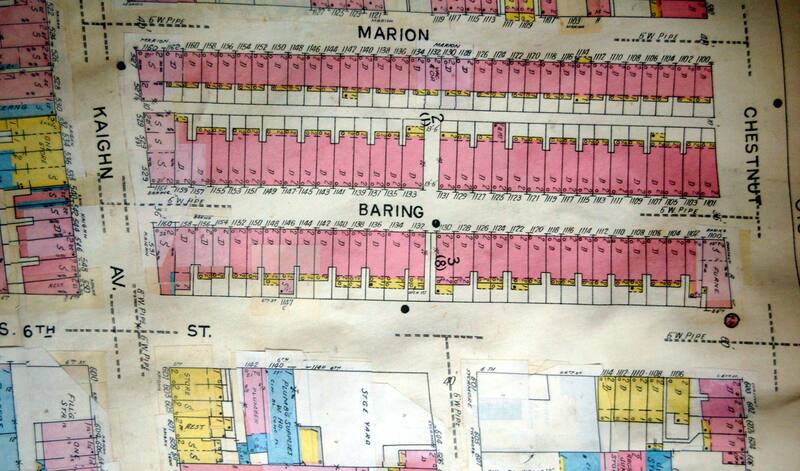 The Ross boys had many interesting experiences while growing up on Baring Street. When they were young, they would get a scrubbing bath every Saturday night in a 4’ long and 2’ wide steel tub in their summer kitchen shed. Anna would heat the water and pour it in the tub. The boys would follow one another in the same tub water. Anna would also scrub their hair with kerosene to “keep the nits away.” Isreal however bathed upstairs in the bathtub. Anna did her laundry in the kitchen and scrubbed the clothes on a washboard. She was very clean and was always scrubbing the floors. Isreal enjoyed his libations after a hard day toiling as a plumber. Before returning home to get “shaken down” by Anna, he would stop at his favorite saloon on Fillmore Street to have a quick nip--a shot of whiskey followed by a beer chaser. He would play pinochle with his buddies at the bar. Isreal did not have too many male friends outside of his saloon network, so he would often stay home and read the paper or listen to the radio. He would also enjoy his tobacco--usually his Camels or Chesterfield cigarettes or, later in life, an occasional pipe. Isreal also had a very special hiding place in his Baring Street house where he hid his whiskey--the second floor toilet tank-which was the only place in the house where his wife never thought to look because there would be hell to pay if Anna ever caught Isreal drinking. She yelled and screamed at Isreal so much when it came to smoking that it scared the daylights out of the boys. Manny and Eddie never drank or smoked, while Lenny took up cigarettes during the service. Isreal would sometimes go to a bar on Jefferson Street near the New York Shipbuilding Corporation shipyard. The boys often had to go after him after 5:00 p.m. He would go home by bus for $.05. According to Eddie, Isreal loved his whisky but stopped drinking and smoking when he got sick later in life. 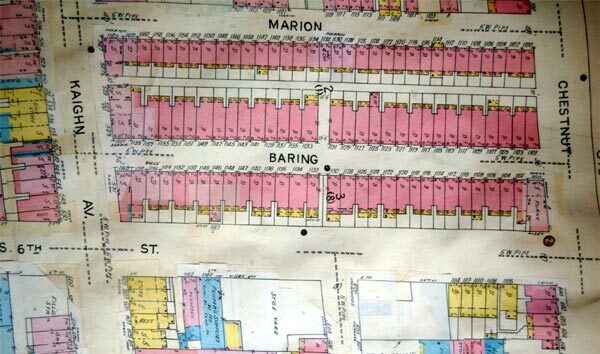 Baring Street was a melting pot of both Jewish and non-Jewish families including Rabbi Riff, who boarded at 1112 Baring Street with the Morris Gelman family. The boys’ Bar Mitzvah tutor, Alter Barbel, lived at 1130 Baring Street. The Ross family lived next to the Cole family on Baring Street. Thomas Cole was a large Canadian who became a steel erector in Camden. Beckie Hahn and her sons, Sam (Noonie) and Paul, lived down the street at 1153 Baring Street. Sarah Gelman was very close to Anna but Beckie Hahn was Anna’s best friend. The boys’ leisure time as kids revolved around any activities surrounding Baring Street. They would play with the Cole and Yaffa kids playing stickball in the street or riding around in a “pushmobile.” The pushmobile was a concoction of available supplies. They took an apple box 2’ high, 18” wide, and 2’ deep and nailed two 2x4s to the box, and then screwed a roller skate under the front and back of the 2x4s. The lucky rider would stand or sit in the apple box while being pushed down the street by his/her friends. Lenny recalled using sling shots with his friends and going to park or swamps to sling squirrels or other rodents. The Ross boys never had bicycles. For other entertainment they would go to movie houses like the Star Theatre or Princess Theatre and for $.10 they could watch cowboy movies three or four times in a day. Sometimes Manny and a friend named Tony gave out circulars and then would go into the movies for free. Things were so bad during the depression that, at times, they would have a meal of just rice and milk, but on Fridays for Shabbas they would have chicken which cost $.20-$.30. The Ross family made some “beverage concoctions” in their Baring Street cellar. They made some sort of wine using grapes or cherries. They also made root beer which would ferment in a barrel with a steel ring around it. They bought the ingredients from Hires Root Beer. Gram Anna would have a little wine on Shabbas. They would also make sour pickles. In late 1939 the Ross family bought a house around the corner at 1142 South Sixth Street. However, there was an argument that ensued when a tailor on Kaighn Avenue, Moische Weinraub, felt he was going to win the bid for the property. Who knows where the family would have moved if not for Sixth Street. It actually was first bought on November 27, 1939 by Lena and Herman Millman (Anna’s sister and brother-in-law), who bought the property from the FDIC. The Millmans “fronted” the purchase because Isreal and Anna could not get credit, before conveying title to Anna Ross for $1 on December 26, 1939. The Denkers (another sister and brother-in-law) wouldn’t lend them any more money because $200 was loaned to Isreal & Anna in the early 1930s and they had trouble paying it back. The house was previously owned for many years by the Samuel and Sarah Tarter family who ran a soda bottling business there. The Tarters put a small addition on the back of the house as they made the kitchen larger and erected a small yard where the dog stayed. The property was sold to us for about $2,500 through Mitch Blank, a customer of ours who was a real estate broker. The larger land plot next door was owned by Myer Weinberg, which they bought for about $1,100 after WWII although there were some hurdles, much to the chagrin of Manuel, as Anna did not want to buy the land. Manny protested vehemently and threatened to “go on strike” until she relinquished. The shop warehouse cost about $3,500 but a man named Donohue did not have enough money to complete the construction at the time. The house had five bedrooms upstairs with a full bathroom. The front bedroom was Isreal and Anna’s; second bedroom held plumbing supplies; Lenny had the third bedroom; Eddie had the fourth and Manny the fifth. The second floor had parquet floors and wallpaper with border on the walls. It’s entirely possible that some customers who owed us some money for plumbing work paid in barter by doing painting, paperhanging and flooring because Anna was entirely too cheap to pay for such extravagances. The house had the outside storefront window when the Ross family bought the property. They would place some plumbing fixtures in the alcove so customers would be drawn to the store. They replaced the coal-fired boiler in the early 1940s with a 1000-gallon oil tank underneath the small driveway adjacent to the house. As you can see in the picture, 1142 was a fairly large house, depth-wise. Prior to the 1980s, this photo would not have been possible, because the fenced in lot, 601 Kaighn Avenue, was the site of a bar from the days prior to Prohibition through the early 1980s. As of this writing I'm not sure when the garage to the immediate left of 1142 South 6th Street was built, other than it was up by 1947. Manuel Norman Ross was born on March 13, 1919 at 267 Kaighn Avenue; Edward David Ross was born on March 29, 1920 at 1145 Baring Street; Herman Leonard Ross was born on March 30, 1923 at 1145 Baring Street. All three Ross boys were delivered in their home by a midwife named Sarah Epstein. The mohel was Marcus Cabnet, whose day job was as the shochet at the Kosher slaughterhouse nearby. After Mr. Cabnet died, Rev. Bugash took over as the new mohel and he handled some of the Ross grandchildren’s brisses. Rabbi Naftali Riff attended the Ross boys’ brisses and also presided over both Manny’s and Lenny’s weddings, while Eddie was married in Bronx, New York by a New York rabbi. During all the preparations for their Bar Mitzvahs, the boys walked across the street to be tutored by Alter Barbel at his home at 1130 Baring Street. Mr. Barbel was the tutor for many of the Jewish kids in the neighborhood. He would typically have a few kids learning Torah in his home at the same time. If a boy made too many mistakes or did not pay close attention, Mr. Barbel would smack his knuckles sternly with a ruler. The Ross boys wore their first trousers (rather than the conventional knickers of the day) when they became Bar Miztvah’d. Manny remarked that due to his size, a typical suit would not fit so Anna took him to a tailor named Moische Weinraub for the cost of $8-9 a suit. We don’t know if Isreal was Bar Mitzvah’d in Wilmington or Camden because his family moved to Camden right around that time. The Ross sons could not remember if Isreal ever celebrated a birthday as accurate birth records were not maintained in Russia. Isreal came to Wilmington, Delaware from Minsk, Russia with his family around 1891 when he was very young. He also never spoke much about his family’s probable hardships in Russia. Anna Ross was born on July 5, 1895 in Philadelphia and celebrating her birthday was always a treat as she loved vanilla ice cream! Why was Herman Leonard Ross called Leonard or Lenny by his family? Perhaps because he had three uncles named Herman--Denker, Millman & Levine. The Ross family’s Hebrew names were as follows: Isreal (Yisrael, named for ? ); Anna (Hannah, named for ? ); Manuel (Mordechai Nutta, named for grandfather Max Silverman); Eddie (Yitzhak David, named for great-grandfather Isaac David Cooper); Lenny (Chaim Leib, named for grandfather Louis Ross). Isreal & Anna both completed the sixth grade of grammar school before setting out to work and help their families. The Ross boys attended the Kaighn School (K-6) on Sycamore near Broadway; Hatch Junior School (7-8); Camden High School (9-12), although Lenny attended Woodrow Wilson High School to enroll in more commercial courses. When preparing for Shabbas or Jewish holidays, Anna as usual would run the show. She would buy Kosher meat or chicken at Lundy’s butcher shop around the corner on Kaighn Avenue, although she sometimes frequented Katz the butcher too. She would light Shabbas candles every Friday night and put pennies in the pushka. She also had three sets of dishes: milk, meat and Passover. Both Isreal and Anna knew Yiddish and Hebrew and would converse in Yiddish with great ease and enjoyment. They would often invite their friends and neighbors, Becky Hahn and her sons, Noonie and Paul, to their home for Passover. To prepare for Passover, Anna would have the boys dig a large hole in the yard and then place all the silverware in the hole. Then she would pour boiling water over the utensils to scour them and make them Kosher for Passover, as they didn’t have a second set dedicated for just Passover. She would also have the boys place hot bricks in the hole so she could also “kosher” any other dishes or pot and pans for Passover. Although they were loyal members of Rabbi Riff’s Sons of Israel Synagogue at South Eighth and Sycamore Streets, when the shul moved to Parkside in 1950, Isreal and Anna would walk to a shul at South Third and Liberty Street. They also bought eight plots at Crescent Cemetery from Sam Gelfand for $1,000 as Anna did not want plots at the New Camden Cemetery due to drainage issues. Isreal’s father, Louis Ross, sometimes listed his occupation as a Galvanizer. A galvanizer worked with iron pipe and dipped it into a tank to prevent rusting. Perhaps this led to Isreal’s foray into plumbing. Isreal first worked for Howard B. Hammell as his plumbing superintendent, and then Isreal eventually partnered with Francis Joseph "Joe" Bicker in 1926. 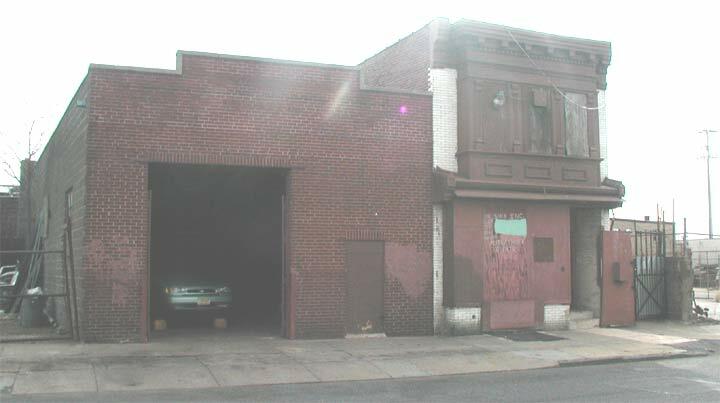 He first utilized a 10’ x 12’ shop at 509 Ferry Avenue (which was owned by H.B. Hammell) and then at 1813 Fillmore Street. Isreal would go to his Ferry Avenue shop with a pushcart. After dissolving his partnership with Joe Bicker, Isreal changed his business name on Ferry Avenue to I. Ross & Sons. The business was eventually called Ross Plumbing & Heating Company by the mid-1930s and then became incorporated after the war around 1946. In the 1930s there was very little business, with Isreal working on jobs for about $2 a day. There were still some outhouses left in Camden which were functioning with cast iron hopper valves. A rod was put up from the hopper valve which would then release water from the toilet. Eventually, health ordinances in Camden gave people two years to convert from outhouses to indoor plumbing. Manny recalled when he was 11 or 12 years old the excitement of getting Isreal’s truck which would be parked in a 10’ x 20’ rental garage for $4 per month around the corner on Sycamore Street facing Marion Street. Manny would back the truck out of the garage, drive by the police station on Chestnut Street, and then turn right on Baring Street. Eddie said that Isreal used a wheelbarrow or pushcart as his means for going job-by-job in the neighborhood before he could afford to buy a truck. Isreal’s first truck was an open-air truck with a plumbing sign on the side secured to the screened-in wire. Before New Jersey Master Plumber’s laws were enacted around 1932, Isreal would pay about $5-10 for his plumber’s license at City Hall. Before Manny received his N.J. state plumber’s license in 1942 (# 210), he worked under Isreal’s license. After the war, Eddie was assigned license # 1041 and Lenny #1272. Anna was the bookkeeper of the business until the 1960s. She would also stay at the shop during much of the day in case customers would come by to purchase second-hand plumbing fixtures sitting in the yard. She was a very skilled negotiator and typically held out for her price. However, one day a very large man came to the shop looking for a used bathtub. Manny was also present that day so the three went outside to the yard. Given the man’s girth and need for an extra-large bathtub, Anna conversed to Manny in Yiddish, “Overcharge him.” The only problem was that the man was an Ethiopian Jew who was conversant in Yiddish. As such, Manny settled on the used bathtub at $5 in order to save face and bring quick closure to his mother’s gaffe. Why did the Rosses always have green trucks? Apparently, Anna liked the color. She also had to go along when they would buy the trucks in order to cement the right negotiating deal. One time they had an advertising deal in the late 1950s with Bryant Heaters to put the Bryant logo on the side of their panel trucks. The trucks were also retrofitted with a vice assembly on the right rear side of the trucks. The Ross men belonged to the local Camden chapter of the National Plumbers Association. They would pay $4/year to go to meetings and hear speakers. There might have been 30-40 plumbers in Camden in the 1930s-1940s, with the Ross family being the only Jewish plumbers. 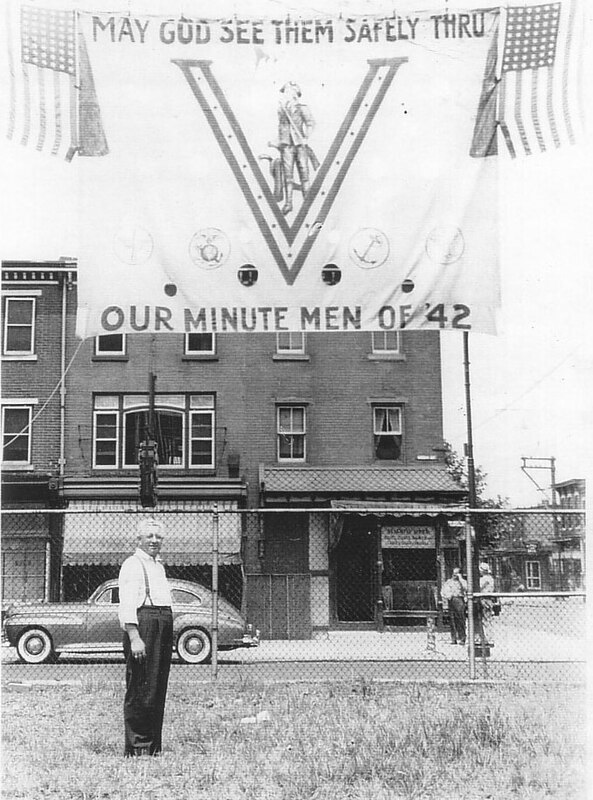 After Manny got out of the service in 1946, he went to Sears Roebuck in Camden to apply as a subcontractor. Sears would pay the sub a certain amount while billing the customer directly. For example, a hot water heater with installation cost the customer $90, while Ross Plumbing received $21. Eventually, the Sears business died down in the 1960s and they weren’t getting enough work to offset the tight profit margins. The business also received work for FHA-HUD foreclosures. During WWII they hired a laborer named Norman who would swing the sledgehammer to break up concrete. They later hired another laborer named James who eventually learned plumbing. And then they also hired Mike Delpidio who worked along side with Manny. They typically had three trucks and crews during those years, but they went through a lot of men who didn’t stay around because the work was too hard. The Ross family often traveled the 60 miles to Atlantic City during every summer to see Anna’s mother, Rebecca, and her children and grandchildren who would often visit too. A typical trip would go as follows: the Ross boys would unload Isreal’s open-air, screened-in Dodge plumbing truck and place all the tools, pipes and fittings on the sidewalk in front of their Baring Street home. They would then place two long benches in the back of the truck, or a rug on the floor, whereby many kids in the neighborhood would climb aboard for the day-trip to the shore. When returning to Camden later that night, every item placed on the sidewalk remained untouched. Eddie recalled that one day the family drove their plumbing truck to Atlantic City. Isreal and Manny were in the front cab, while Anna, Eddie, Lenny and their neighbor, Sylvia Solof, were in the back. One of the truck’s tires blew out in Hammonton, New Jersey and the vehicle swerved and hit another car. This was at the beginning of the depression and Isreal had little or no auto insurance so, with family lawyer Albert Melnik’s counsel, he paid the settlement in cash and with more tough times ahead he ultimately went broke. The accident and the depression of the 1930s led Isreal to declare bankruptcy where the family lost most of their real estate properties. They did however stay in their Baring Street house probably because the Savings and Loan banks were overloaded with foreclosed-upon properties which they could no longer sell for cash. Isreal and Anna presumably were renters to the bank until they were able to get their credit back in good standing again years later. Eddie remembered each of Rebecca Silverman’s children bringing a grandchild to Atlantic City for a week during the summer. Anna would give her sons a $1 to spend during his vacation and Irene Matez would sometimes take them on the boardwalk to get a $.05 ice cream. When going to Atlantic City to visit Irene Matez, Irene would give each family one towel when they came down and then charged them a $5 “convenience fee” for using the place. The Ross family would always pack up and bring down corned beef sandwiches for the day. Harry Matez used to give Isreal shoes. Isreal would do plumbing repairs in Rebecca’s house when they visited. Isreal would also go to the movies and visit a schvitz house in Atlantic City. The only other vacations Anna took were to Miami Beach 2-3 times with Mrs. Gelman, where they stayed at a Kosher hotel on Eighteenth Street and Collins Avenue. The Ross family would often visit their Wilmington relatives, particularly Anna Shapiro, Isreal’s oldest sister, and her son and daughter-in-law, Abe and Pauline Shapiro. The Ross family would always visit the Jewish cemetery in Wilmington before the Jewish holidays and pay respects at Isreal’s mother’s grave and also other Cooper and Shapiro family members. Anna would give her sons a $5 or $10 bill for dates. They had one car which they would share. After the war, they had two trucks, one being an Army jeep they bought for $200 from Fort Dix. Fort Dix had sales of second-hand jeeps every month-- they just needed to buy a new battery to run the jeep. Anna Ross was notorious for going to a grocery store, a family-run or a large chain, and sampling dozens of grapes before the manager or store worker would say something to her. When confronted about paying for the disappearing grapes, she would often remark that they’re sour and not worth paying for. She must have learned this skill from her mother, Rebecca, who would seek out and buy rotten fruit because it was marked down in price. Although Isreal Ross never served in World War I, he did have to register for the war as his age qualified for military service. Eddie Ross recalled that Isreal just missed the war by a couple of days. He was drafted and called up, but when he got to the draft station, he was sent back home. Lenny & Eddie recalled that Isreal may have worked as a plumber or pipe fitter in Camden’s New York Shipyards to assist in the war effort. During WWII all three Ross boys were drafted into the Army. Eddie was drafted first, followed by Lenny and then Manny. Manny got a 9-month deferment before going into the Signal Corps in Joplin, Missouri’s Camp Crowder. His cousins Yutie Levin and Irv Millman also were shipped there along with family friend Noonie Hahn. It would take Manny a 24-hour train ride to return to Camden when he had furlough privileges. When the Ross boys were ready to be shipped out to basic training, Rabbi Riff wished them good luck in Yiddish and admonished him not to eat any non-Kosher food. When Manny got to Camp Crowder, he practiced climbing poles as a 23-24 year-old. He weighed 228 pounds. One day, the sergeant called him down to see the captain. “Private Ross reporting Sir.” The captain told him he was too big a target so he was being converted to a supply clerk. Eventually, Manny was transferred to Fort Wadsworth, Staten Island, N.Y. He did nothing there for 6 months but could see his family in Camden during weekends sometimes. Eddie was assigned to communications and running wire and he was in the anti-aircraft regiments in Okinawa, Aoshima, and Korea from 1944-1946. His boot camp was at Fort Langley, Virginia and then he went to Camp Stuart, Virginia. His regiment sailed to the far east for 42 days, but it only took 10 days when returning home. The trip overseas took particularly longer because they were seeking out or avoiding enemy ships or subs, one of which was spotted near the Hawaiian Islands. Eddie only got seasick one day. Lenny was shipped to Europe after attending boot camp at Fort Dix, New Jersey and then Camp Shelby, Mississippi for basic training. He was in the second battalion, 271st Infantry Regiment, 69th Infantry Division. He was shipped overseas on the RMS Queen Elizabeth. He never got seasick, unlike the majority of the GIs on the ship. He ended up being promoted to the rank of staff sergeant and was assigned a desk job in France, England and Belgium. Lenny recalled that his 24-hour train ride to Camp Shelby happened to take place during Yom Kippur and became impossible for him to maintain his fast on the train as the journey progressed. Anna had a gall bladder operation in late June, 1939 at Belleview Hospital, 500 Linden Street in Camden. This hospital was originally a large mansion, the home of Civil War general and later United States Senator William Joyce Sewell. After Sewell's death the building was converted into a hospital by Dr. J. Lynn Mahaffey. Ironically, when Anna arrived for the noon check-in for the surgical procedure performed by Dr. Schafer, the admissions form denoted that “patient desires accommodations as follows: semi-private or private room.” Rooms were $4 a day and were equipped with telephones. There were no charges for incoming calls, but local calls cost $.10 and long distance calls were at regular rates. Radio service was available in each room and could be obtained at a nominal cost. Suffice it to say that Anna Ross did not once place an outgoing phone call or even touch the radio! Left: Herman Levin standing in front of his store at the corner of Kaighn Avenue and South 3rd Street, 1942. When Rebecca Silverman died on July 15, 1952, her body was laid out, wrapped in a white sheet, in an open casket at 299 Kaighn Avenue. Rabbi Riff placed broken pottery from Israel over her eyes so she couldn’t see the outside world. He also placed some dirt from Israel in her casket. Isreal’s health waned in his later years when he was in his late 60’s. He developed hardening of the arteries at a time when bypass surgery wasn’t even discovered. His arteries in his leg got clogged, a fitting tribute to this plumber, and his toes started to go bad which led to gangrene. Sometime between 1959-1960 Isreal had to have his left leg amputated below the knee. The boys would try to keep him busy in the shop and make him feel productive. He used to sit in the shop and wipe lead joints. He’d do a lot of prefab work for their many Sears Roebuck contract jobs. Isreall’s hands and arms were still strong and he could wheel himself around. They also had a separate door erected in the garage so he could get outside the shop more easily. Eddie thought that Isreal hurt his leg on a job at Ruttenberg’s Furniture Store at Fourth and Kaighn. Isreal was carrying a cast-iron boiler down the cellar steps with someone when the boiler slipped down the steps and hurt his leg. Isreal died on April 12, 1962 at Lady of Lourdes Hospital on Haddon Avenue. The David Berschler Funeral Home handled the burial matters for the sum of $1,191. This included $800 for chapel facilities, $175 for a concrete vault, $90 for grave opening and $25 for a limousine. The granite grave stone with the name Ross embedded in it cost $530 and was made by G.A. Kaeppler & Son Cemetery Memorials in Philadelphia. At one point, the Ross family owned over 100 houses in Camden which they would rent out. It worked rather successfully for about 20 years until Camden succumbed to the riots in the late 1960s. They would buy properties for pennies on the dollar. When Manny got out of the army, he did a lot of work for Nathan Katz (confectionary man) and real estate manager. Then Mr. Katz died and Mrs. Katz had inherited three or four houses. One of the houses needed complete indoor plumbing work and Manny gave her an estimate of $400 to install a sewer line and toilet indoors. Mrs. Katz balked at the estimate and eventually her daughter, Sylvia Katz, called Manny to take the house around the corner from the shop at South Sixth and Liberty for $1. He put a bathtub and toilet inside. During these times Anna told Eddie and Lenny not to pursue these real estate endeavors because the venture was too risky. So Manny installed everything by himself during two weekends. He rented out the house for $60 a month. Then one day Judge Lipkin called Manny. “A client wants to buy your house for a saloon to expand next door. What’s your price?” Manny just threw out a price of $1,900. Judge Lipkin drew up the papers. This favorable exchange helped to start the Ross family’s real estate venture, MEL Investments. They followed up by purchasing 10 houses next to each other on Liberty Street. All were rented for $19 a month, with no heat except coal stoves. One house caught fire and they got a $4000-5000 settlement from the insurance company. Eventually, they installed used coal furnaces. The houses would have just a cold water line with a faucet in the kitchen, and sometimes no sink so water would run on the floor. They eventually raised the rent to $39 a month and would sometimes have to evict the tenants. They also partnered with Irv Levy and bought 12 apartments in the 1960s on Penn Street in North Camden. These properties were eventually sold to Rutgers-Camden University. Anna helped all three sons to buy a house. On January 3, 1958 Lenny bought his first house at 650 Randolph Street (built around 1941) for $7,900 from Eddie & Sylvia Ross. Eddie bought the house from Nathan & Dorothy Balsham on April 27, 1948. Lenny & Shirlye sold the Randolph Street house in early 1964 to Zev Rose although the purchase of their home from Dr. & Mrs. William Evers at 1709 Country Club Drive in the Woodcrest section of Cherry Hill settled on December 26, 1963.